A while back I received an e-mail from a young South African guy wanting to start a running blog. I love receiving those types of e-mails, because for me blogging has been such a positive journey and I'm always thrilled to bump into fellow South African runners with the same passion. I shared with him a few tips and lessons learned, but honestly didn't expect to see what I did when he finally published his site - wow! 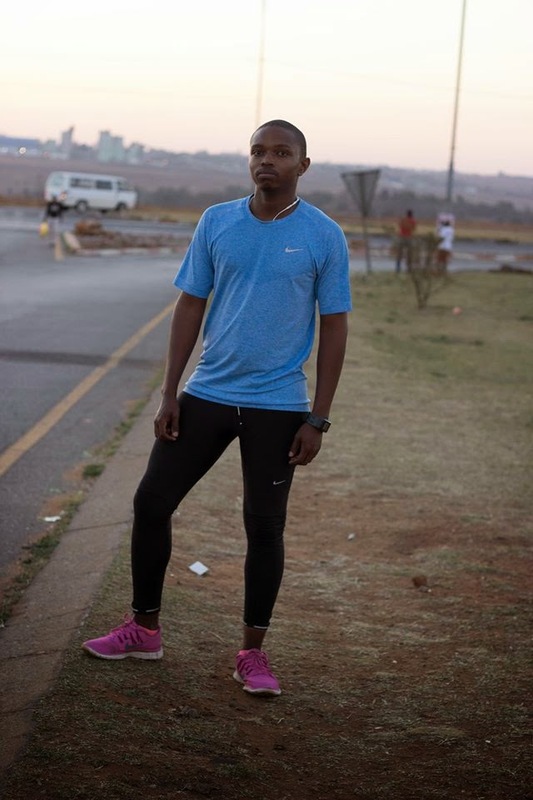 Atlegang Mosimanekgosi (21), or That Indie Runner, is the brain and driver behind #RunRevolution, a movement aimed at getting people moving. He lives and studies in Johannesburg and started running a little more than two-and-a-half years ago. Here's his story. Running the Race (RtR): Why do you run/love running? Atlegang Mosimanekgosi (AM): I feel at peace when sweat runs down my face. It blinds, but I feel alive when that happens. RtR: Where do you usually run? AM: During the week I run around where I live. I have really struggled to find somebody consistent that I can run with, and as a result I run alone during the week when I can. 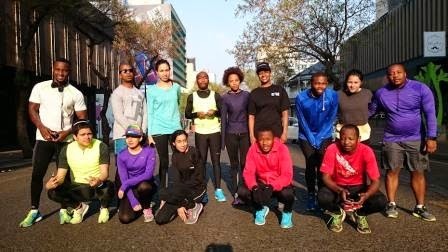 On Saturday mornings I run with my crew, the Braamfie Runners. There is something relaxing about running in the Jo'burg CBD. RtR: What are your current running goals/dreams? AM: I have a half-marathon on 2 November, and I just want to get to the finish line. My goal is to run injury free and consistently. 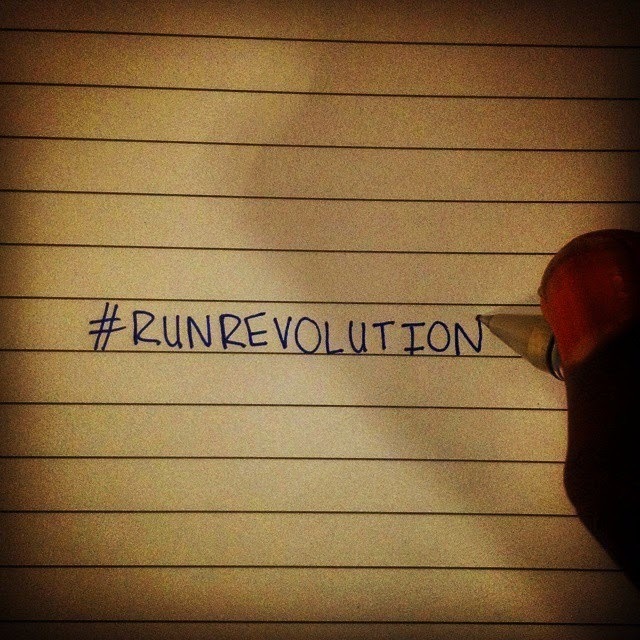 I want to inspire more people to start running, and I also want to grow the #RunRevolution movement. RtR: Any tips for men and women out there who want to start running, but feel that they are too slow, overweight or "unathletic"? AM: Left earphone in, right earphone in. Shoes on, get out there take a deep breath. Picture a fitter, healthier version of yourself. Look at the nearest street lamp. Run to your new body, and when you are done, congratulate yourself. Next time repeat these steps, but run to the next street lamp. Breathe in and out, listen to your body and have fun! Isn't that the best advice to new runners that you've ever heard?! I love it! Thanks so much, Atlegang, for sharing your story with us. 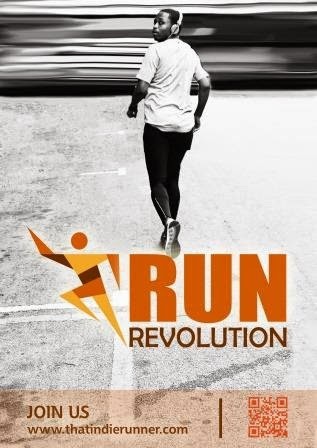 I know that your site, That Indie Runner, as well as the #RunRevolution movement, will be a huge success. You can follow Atlegang on Instagram (@thatindierunner), from where he sources runners from all over the globe to grow the #runrevolution movement. Thanks for sharing Karien. Following his blog. Pleasure, Paul! Isn't his site amazing?! Have a good running week end. Thanks so much, Stefano! We had a lovely cool and cloudy weekend down here in S.A. - perfect for running ;) ! Hope you had a good one too. Pleasure, Lisa! I find Atlegang's laid-back approach to running so refreshing - very different from my own pedantic approach, haha! 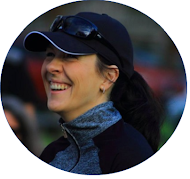 Love this "everyday running heroes" series you have! His advice is fantastic- pure and simple as not to overwhelm newer runners. Perfect! I agree, Hailey - I think we sometimes overcomplicate things and scare new runners away instead of motivating them to run! Atlegang's advice is spot-on :) .